The men's slack are gaining recognition with each passing day. These slacks come in various cuts, color and style and are suitable for any wearer. To ensure that you are purchasing the right pair of stylish slacks you need to remember a couple of details which must be well thought-out before you purchase. These are the finish and the fabric. The finish includes six points which must be considered, the pleats, cuffs, closures, pockets, fit and lining. One or two pleats for the heavy built man can hide their heavy thigh and the pleats should be cuffed to keep it in place. However, slim men should never go for this number of pleats as it will be a complete disaster for them. The men with long legs looks dashing in cuffed slacks and it can be added or removed from the clothing with the help of tailor anytime. The fit of the menâ€™s stylish slacks is very important. The slim cut men's pants are the best for slim men. The menswear slacks comes in two closures, the button and zippers and depends entirely on the wearer's preference. If you want to retain the perfect shape of the slacks and want comfort, it is advisable to use lining stitched inside your slacks. 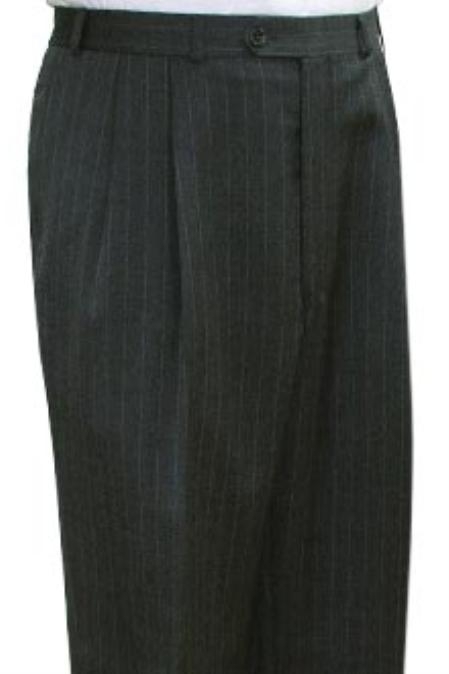 The fabric usually used for menâ€™s slacks are cotton, wool, polyester or maybe blend of any two or all the three. There are lightweight and heavyweight both kinds of wool made pants for all seasons and are long-lasting and do not get dirty easily. The cotton fabric is ultimate under warmer climates. The men's slacks also come in corduroy and twill. For crumple-resistant pants, you may choose polyester-blends. These fabrics are durable yet affordable. The men's slack are the important attire which when paired up with a perfect dress shirt can look amazing and make you feel great. The men's pants are the attire that is vital and needs a lot of thought before getting one. The men's slacks are available online and let you choose from the wide collection of colors, fabric cuts and styles for every occasion and situations.